These large tissues are gentle on the skins and great to have on-hand whether you have a cold or simply want to freshen up. 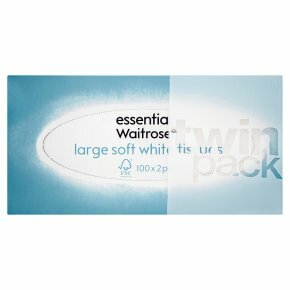 As part of the essential Waitrose range this box of FSC approved tissues offers all the quality you'd expect at a price you wouldn't. Each box contains around 100 2 ply tissues, measuring 276mm by 295mm.